You are not going to find this spot on the strip. It is not even in downtown Las Vegas. Instead think of taking a 20 minute trip to North West Vegas to Leticia's Mexican Cocina. What you find is some of the best Mexican food this side of the border. 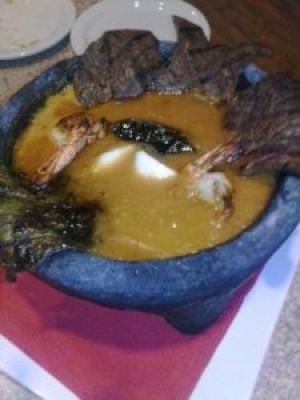 I have been privy to test some to the Mexican food in Los Angeles and Leticia's rivals all of them. The Vintage Wine Boquet is held annually by the Beverly Hills Bar Association and is well worth marking your calendar with anticipation. 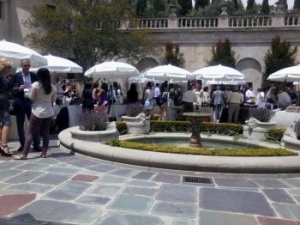 The tickets are usually around $150 in advance and over two hundred dollars for a VIP at the door purchase but given the plethora of foods and wines you get to taste from Beverly Hills and the surrounding area, the ticket is well worth it. Also there are always silent auction items including an abundance of hotel, resort, and restaurant deals/gift cards with fairly low starting bids. 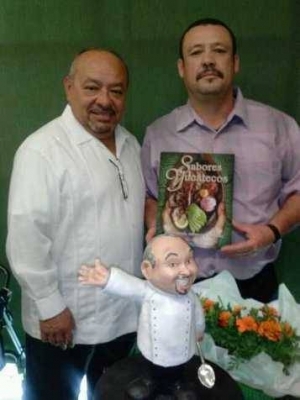 Chef Gilberto Centina , owner the Los Angeles restaurant Chichen Itza presents his new cookbook Sabores Yucatecos, the Spanish version. An English version of the book was published first. The acclaimed cookbook won the First Place Award for Best Cookbook in the Latino Literacy Now’s 2013 International Latino Book Awards. The English version was the first cookbook written of it’s kind with a focus on cuisine of the Yucatan. When it comes to Scandal's Olivia Pope, people want to know. MCCN did some digging about those popcorn wine glasses we regularly see the fixer, fixing herself a glass to drink of red wine. They go for about $13 each. Property of Spectrum Entertaiment. All Rights Reserved.